The placenta has a long and rich history of use for its supposed medicinal properties. 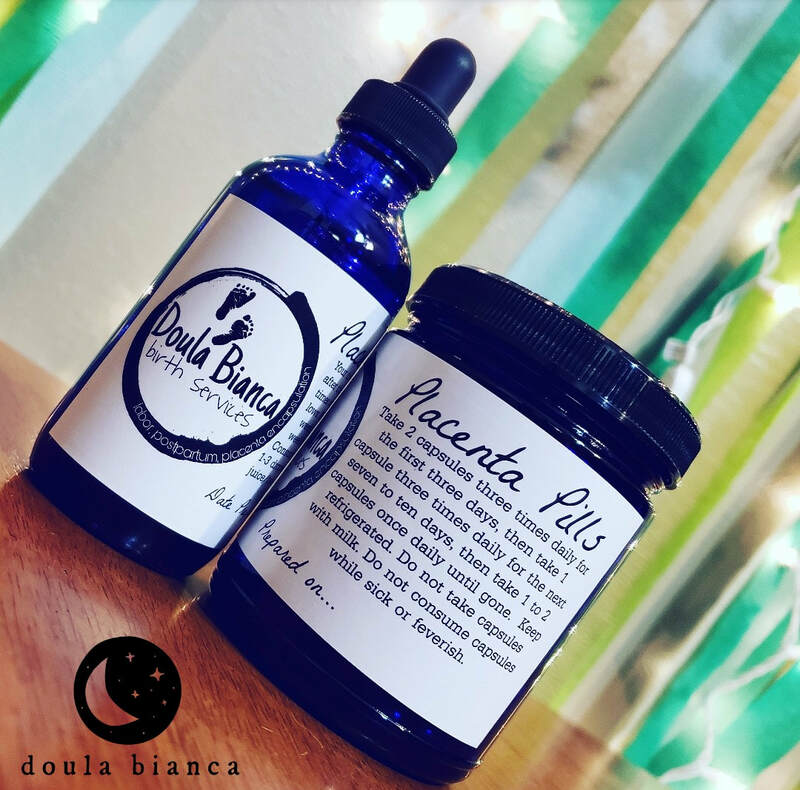 While there are limited clinical studies regarding the scientific benefit of placenta consumption, many people report experiencing positive moods, decreased postpartum depression, improved lactation and an easier transition to work/life balance after ingesting their placenta. For no additional charge, if you would like, I can also can provide you with a keepsake of your baby's umbilical cord and a blood print of your placenta on watercolor paper. The placenta is an amazing (and some consider sacred) organ that your baby called home while inside your belly. Many families frame their placenta prints (also known as the Tree of Life) in the their homes. I also provide tinctures, a highly concentrated liquid extract, for an addition fee. Tinctures have been reported beneficial during times of high hormonal or emotional stress including weaning and the first few menstruation cycles postpartum. 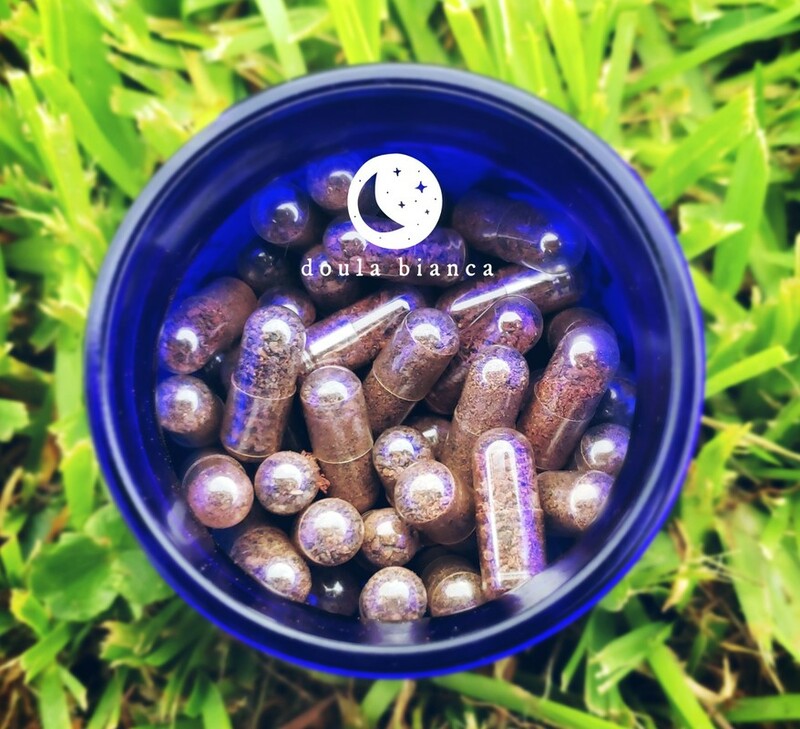 Researchers at Oregon State University, UNLV, and UC Davis performed several clinical studies on placenta encapsulation and have concluded that people who consume placenta, usually in pill form after delivery, were not increasing the risk of infection while breastfeeding their child. The study also claims that ingesting the placenta may help relieve postpartum depression in women. The American Pregnancy Association supports professional placenta encapsulation and also labels it as safe. I handle your placenta and the environment around it as I would any other medical waste in accordance to the U.S. Occupational Safety and Health Administration's Bloodborne Pathogen training guidelines and Biologix Solutions Bloodborne Pathogens for Doulas and Placenta Encapsulators guidelines. Personal protection equipment is worn at all times. Gloves are changed regularly throughout the encapsulation process to avoid cross contamination. The placenta is steamed thoroughly and dehydrated at a temperature of 160 degrees. All preparation is in accordance to the U.S. Food and Drug Administration's guidelines on Safe Food Handling. All equipment and the surrounding environment is thoroughly mechanically cleaned and sanitized with CaviCide, a hospital grade disinfectant used in operating rooms, ERs, patient isolation rooms, NICUs and laboratories. The cost of this service is $199 for the entire encapsulation process, which includes two postpartum visits as well as a prenatal visit, umbilical cord keepsake and placenta print. The optional tincture add on is an additional $25. Interested in the benefits of placenta encapsulation? Contact me for your free consultation!